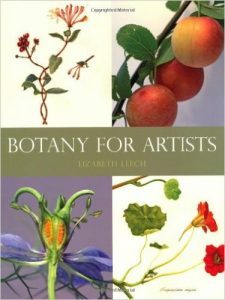 This essential book is aimed at giving botanical artists a better understanding of their subject plants and flowers, and to help them enhance their observational skills with the use of photocopyable, step by step, detailed worksheets which are designed to help the artist record all the necessary features of each plant before painting. The intricacies of Flowering plants, Cone bearing plants, Mosses and Liverworts, Ferns, Fungi and Lichens and Carnivorous Plants are covered; also Naming Plants, Classification, Handy hints and more. Liberally illustrated with photos and botanical artworks by members of the Hampton Court Palace Florilegium Society, this book is unique in that it makes no attempt to cover painting techniques but rather aims to botanically inform in an accessible, easy to read style. 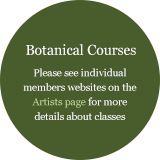 Recommended by Chelsea School of Botanical Art and English Gardening School. It is sold worldwide; available online on Amazon and American Society of Botanical Artists, and at shops at e.g. at Wisley and Kew. Botanical Illustration – the complete guide explains the processes and methods behind this beautiful art genre. It highlights the importance of the requisite skills of close observation, accurate drawing and attention to detail. 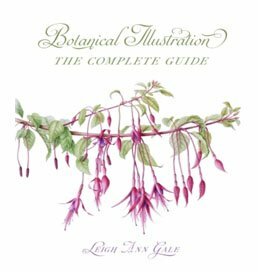 Leigh Ann Gale is a leading botanical artist and tutor, and she generously demonstrates her approach in this book. Her worked example of Fuchsia magellanica illustrates the varied stages of an illustration. Along with step-by-step instructions to a range of subjects, this book is beautifully illustrated with over 350 images, diagrams and paintings of her and her students’ work. This book is a source of inspiration as well as a definitive guide. Step-by-step instructions cover many subjects, from creating shine on leaves and berries, to painting white flowers and depicting hairs on leaves and stems.